Sweet potatoes are a plenty in Indonesia and very easy to find, including in supermarkets. Various types of traditional snacks use this plant as a main ingredient, such as ubi goreng (fried sweet potato), bola ubi (ball-shaped fried sweet potato) and kolak (sweet potatoes and other fruits with coconut milk and palm sugar). 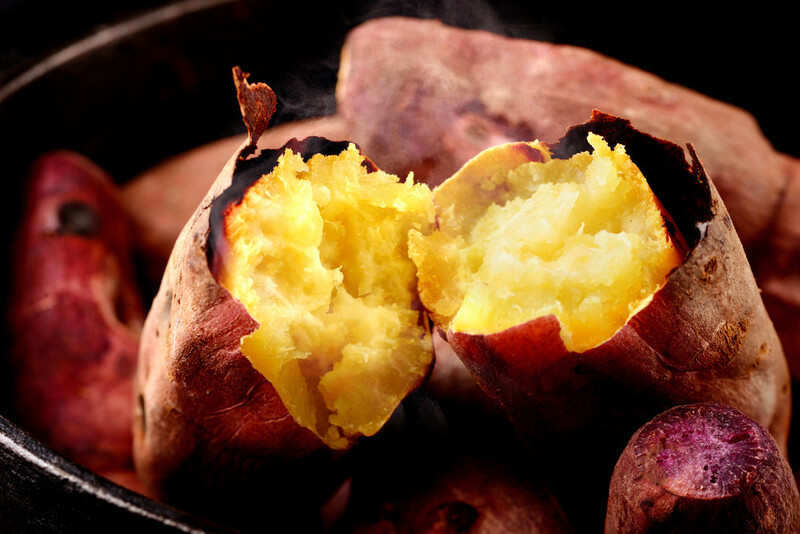 Other than its delicious flavor, sweet potato actually boasts many health benefits as well. Its amount of nutrition is even said to be higher than potatoes. "All root vegetables, including potatoes, are highly nutritious and healthy for you," New York-based dietitian Brigitte Zeitlin told Time as quoted by kompas.com on Wednesday. She added that sweet potatoes were even better than potatoes since their calorie and carbohydrate content were lower, as seen from their bright color. "In general, the more colors you add to your foods that come from vegetables and fruits the better," said Los Angeles-based dietitian Yasi Ansari. Additionally, sweet potatoes are also rich in vitamins. Compared to potatoes, their content of vitamin A, for instance, is much higher. Vitamin A is known for its antioxidant power that can increase immunity, as well as maintain the health of your skin and vision. According to the United States Department of Agriculture (USDA), one sweet potato offers more than 100 percent of a human's daily need for vitamin A. Aside from vitamin A, sweet potatoes are also rich in vitamin C and B6 -- both are important to maintain the health of your brain and neuron system. The plant is also a source of calcium and magnesium, which helps manage blood pressure. One sweet potato is also said to contain around 4 grams of vegetable fiber, which helps maintain weight and decrease the risk of chronic diseases such as diabetes type 2 and high cholesterol. Compared to non-starch vegetables such as broccoli, sweet potatoes indeed contain a higher amount of carbohydrates. However, Ansari said it also meant that sweet potatoes provided more energy and served as a tremendous fuel source for your daily activities. Zeitlin shared that frying this plant was not a good choice if you wanted to maintain the good nutrition contained in it. "First thing you should do is buy the ones with bright colors; as the brighter the color, such as orange, yellow or purple, the higher the amount of nutrition," she said. "Next, don't peel the skin, as the healthy way of consuming it is with the skin, which contains the most fiber and antioxidants." Steaming, roasting, grilling or boiling them are among the best ways to cook sweet potatoes. Or you can freeze them, and later mix them with soy milk to make a smoothie. A mashed sweet potato is also a healthy food choice.